Essilor Vision Foundation, under the Essilor Group, is focused on the importance of healthy vision in sports and in helping individuals with intellectual disabilities work towards generating acceptance and inclusion in the community. 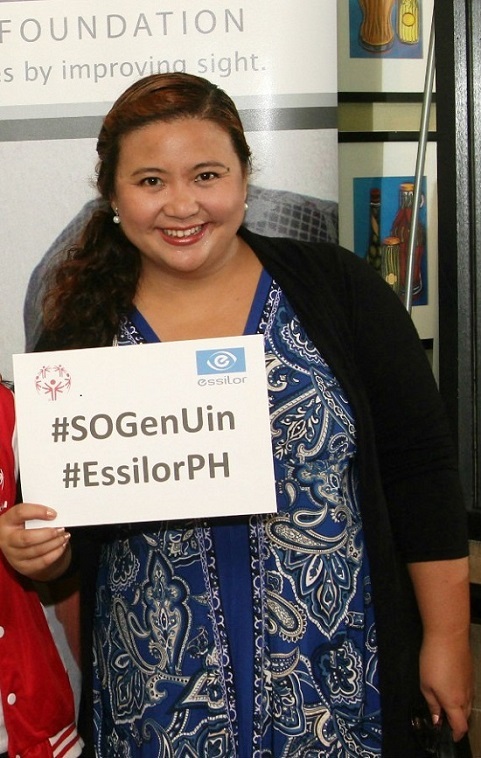 True to this commitment, the Essilor Vision Foundation backs the Philippine co-chairs to the 2015 Special Olympics Social Impact Summit. Social Impact Summit, formerly known as Global Youth Activation Summit, is a six-day international convention that enjoins 120 youth leaders from 30 countries to generate critical social change around the pressing issues facing people with intellectual disabilities. It will be held in conjunction with the Special Olympics World Games at Los Angeles, California. Philippine representatives Brina Maxino and Sashi Montaňa proactively shared their experiences as delegates in the 2013 Global Youth Activation Summit in South Korea. Through the summit, they learned how to educate and motivate people into advocating acceptance and inclusion of people with intellectual disabilities. Because of their active involvement in this advocacy for years, they have been elected as co-chairs for this year’s Social Impact Summit. “Every person with disability can change the world, and I am very excited to be part of this journey,” said Brina Maxino. “We look forward to meeting other young people whose ideas can help people with intellectual disabilities develop their abilities, nurture their talents, and live with dignity and respect,” added Sashi Montaňa. Brina and Sashi’s presentation “Eye Can Play: A Healthy Eyeffair” uses an “edutainment” approach to help Special Olympics athletes, their caregivers and their families learn more about the importance of healthy vision. Supported by Essilor Vision Foundation, Eye Can Play has notched the Top 5 spot in the summit, granting $3,000 for the Philippines and earning accolades from the organizers and sponsors of the 2015 Special Olympics.